First of all, please take a minute and click on the link below then like the photo from the Houston Marathon Facebook page to vote for me! I am in a contest to win a #HouMarathon prize pack! 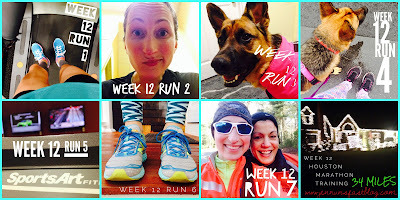 This week I took a step back before the hardest week in my training (which happens to be Christmas week!!) and after a tough long run last week. I can’t believe I have one more week of hard work then my 3-week taper begins! Some people hate it—but I totally love taper time! I had to rearrange my running schedule a little bit because I was invited over a client's house for wine and Christmas on Wednesday afternoon. So much fun! But this meant Monday easy run and Tuesday night mile repeat night! This was tough. I wasn’t quite recovered by Monday from my 20-miler attempt so I had to run my intervals on Tuesday night. Tuesdays are my long days at work and the motivation to run on Tuesday nights is very low but I got it done. I got home Wednesday night and took G out for a night mile run/walk to continue with the Christmas theme and look at all the neighbors pretty Christmas lights. By the way, have I ever mentioned that my 7:30am group training group is the BEST? Georgie and I got out again on Thursday morning but it was misty and raw out so I skipped my run which meant treadmill again on Thursday night. It really was a rough week in terms of motivation. I am getting SO CLOSE but I am also starting to feel the effects of training. I was SO TIRED all week. Literally thought I could close my eyes in the back office at work and sleep the whole day away. Thanks goodness for clients. I rounded out the week with a Friday morning 5-miler and 14 miles on Saturday. Even thought it was probably the coldest run of the fall/winter so far, I felt much better on my long run this week. I had the company of Wendy on Saturday morning as she joined me for 7 miles. I parked at work and ran the 2 miles to her house, 7 with her and finished up with 5 on my own. It’s been awhile since I got to run with Wendy so it was nice—she’s super speedy and athletic and a 50 YEAR OLD GRANDMA. 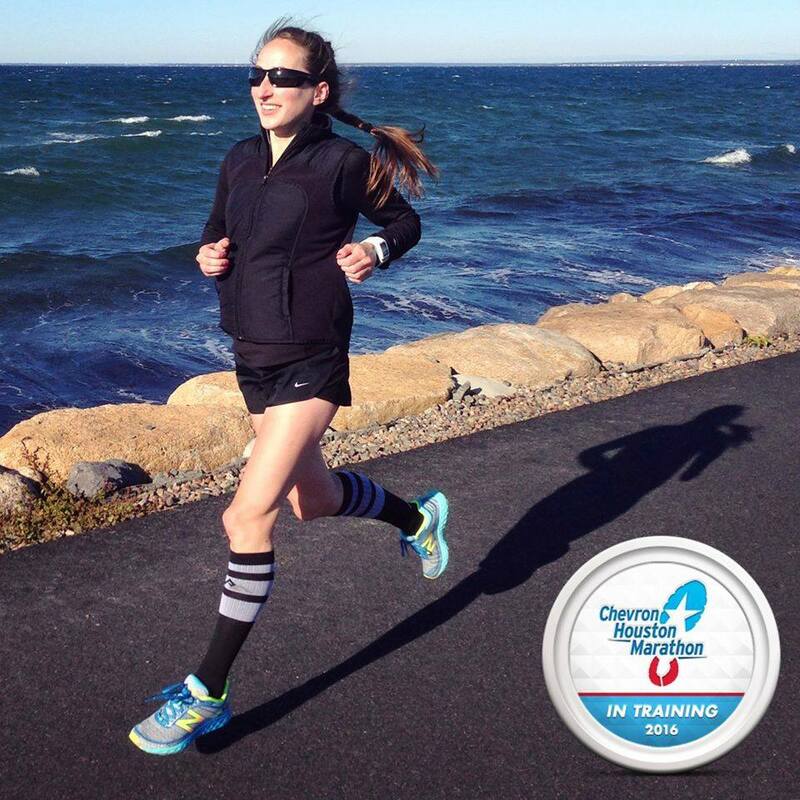 My group training group calls her Wonder Women—so inspiring! 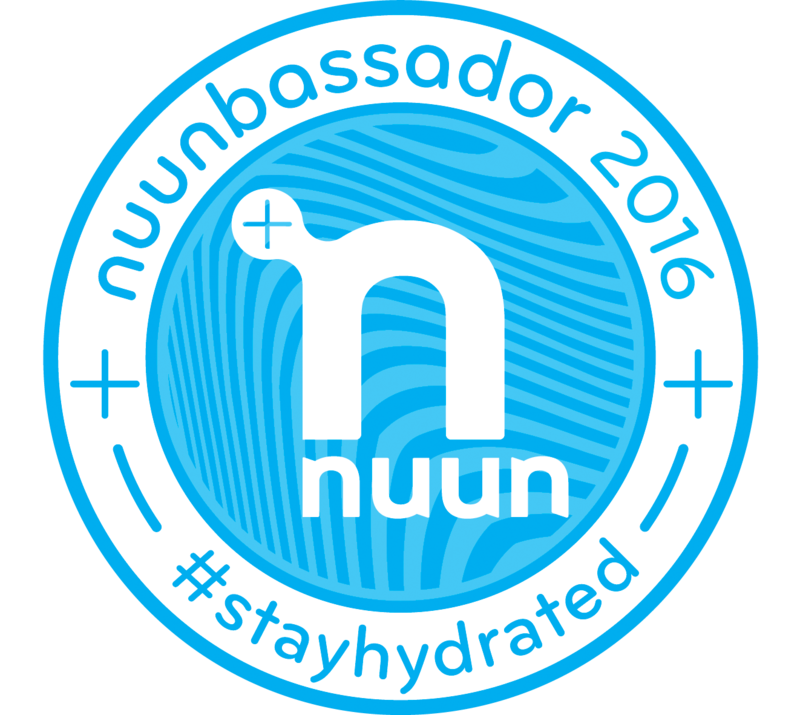 · I was selected to be a nuunbassador for 2016! What does this mean? 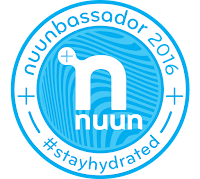 Discounts & goodies in exchange for sharing the #nuunlove! Did you know that I put nuun in my water bottle during spin class? My favorite flavor? Watermelon. · 4 weeks until the Houston Marathon!